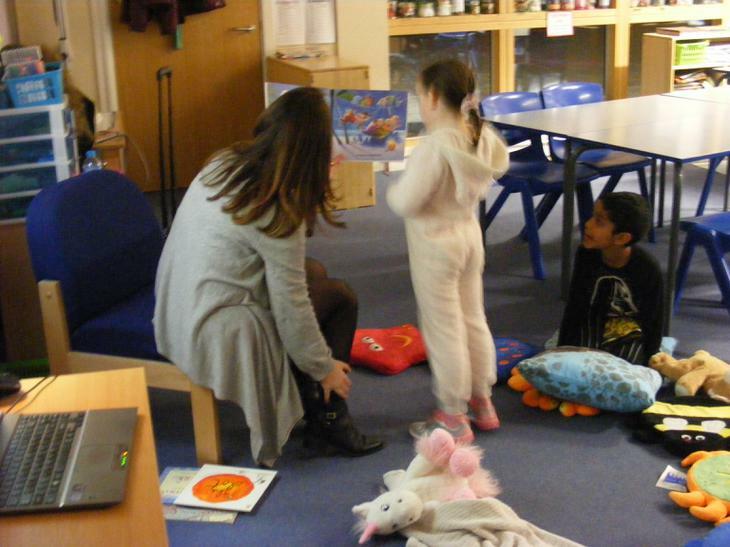 Around forty pyjama-ed children, with parents in tow, arrived in ones and twos, emerging from the dark, foggy evening to enter the welcoming warmth of the school. 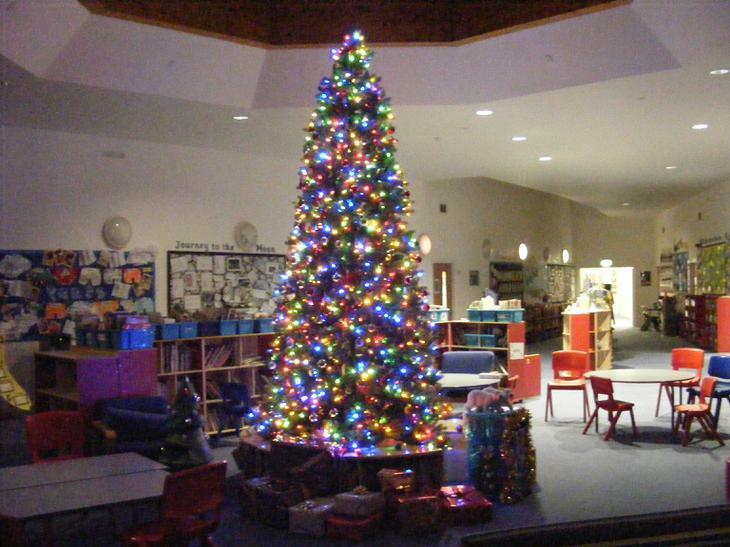 The lights were low but the flickering glow of the Christmas tree in the Heart Space beckoned them on. 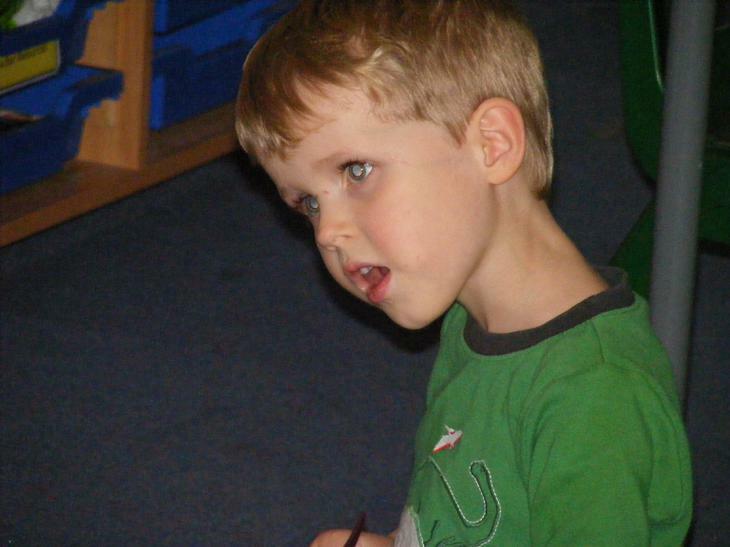 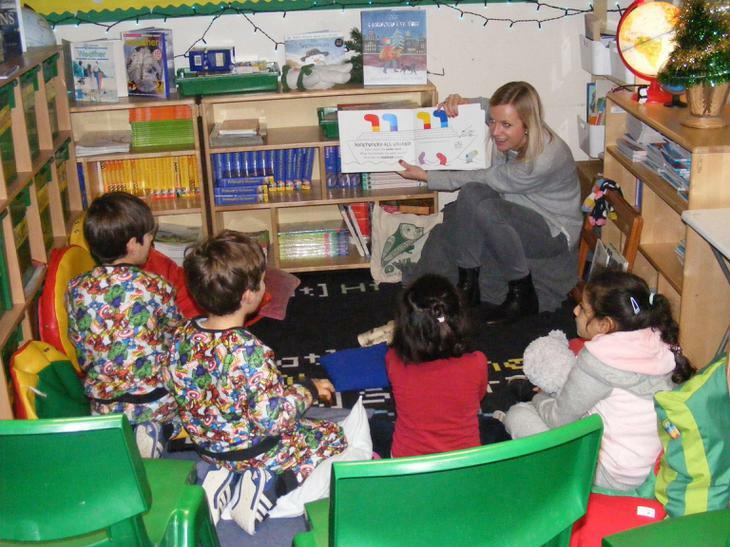 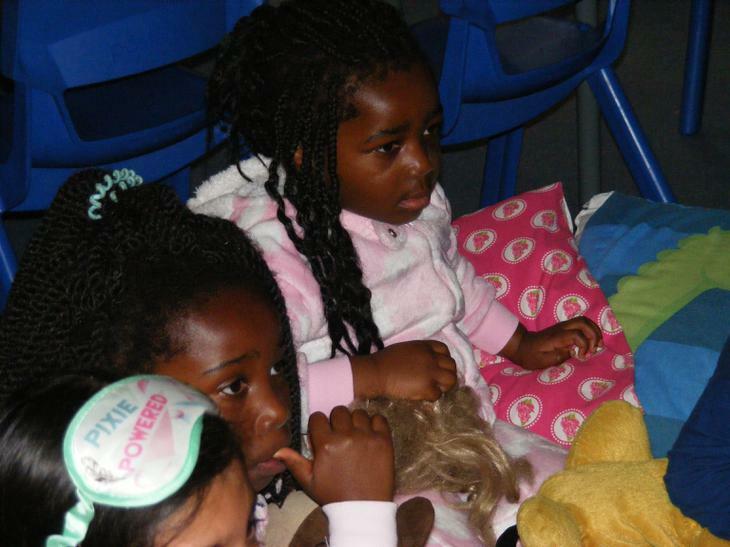 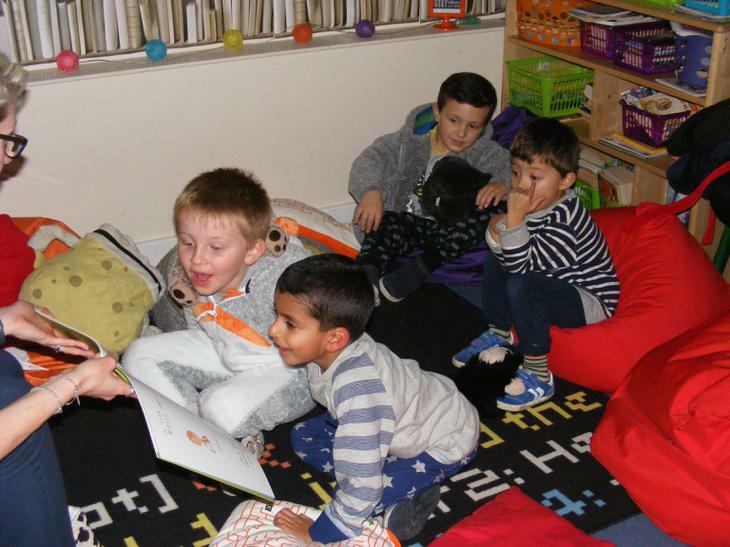 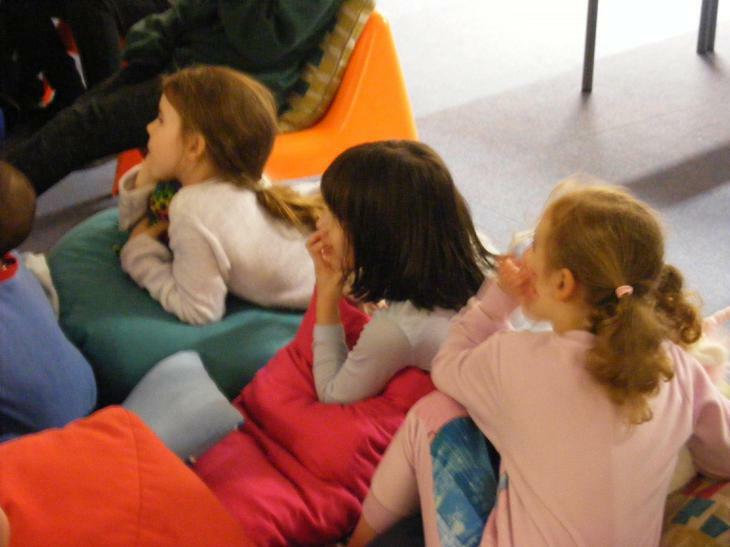 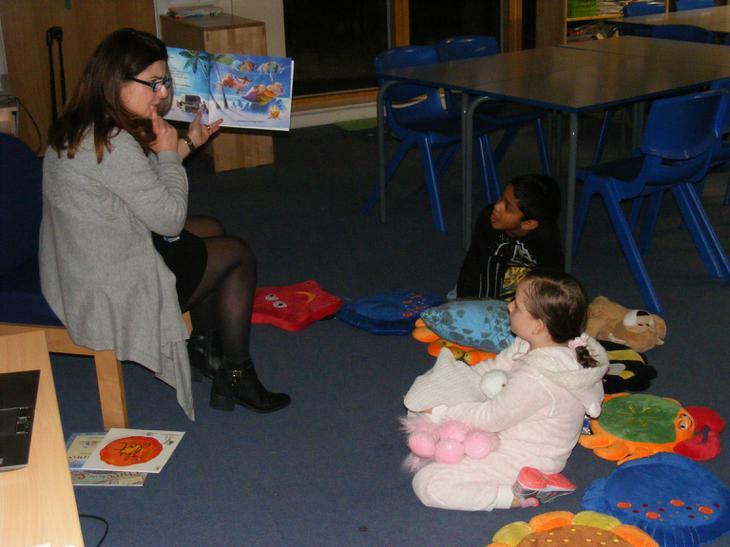 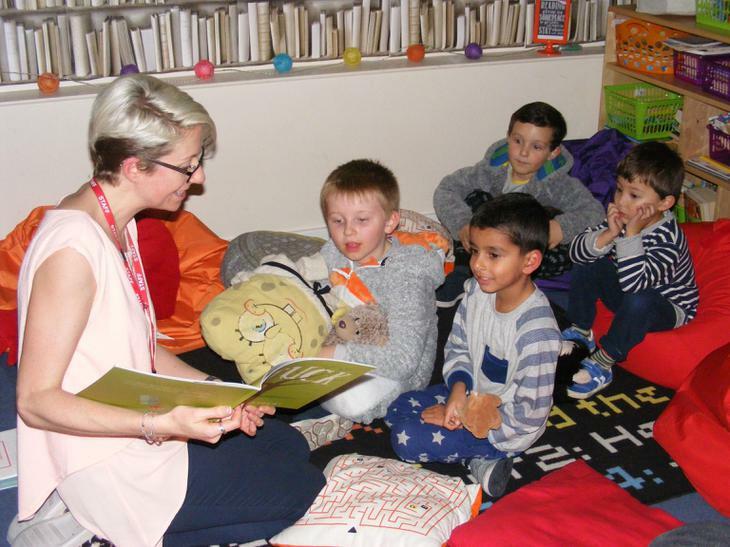 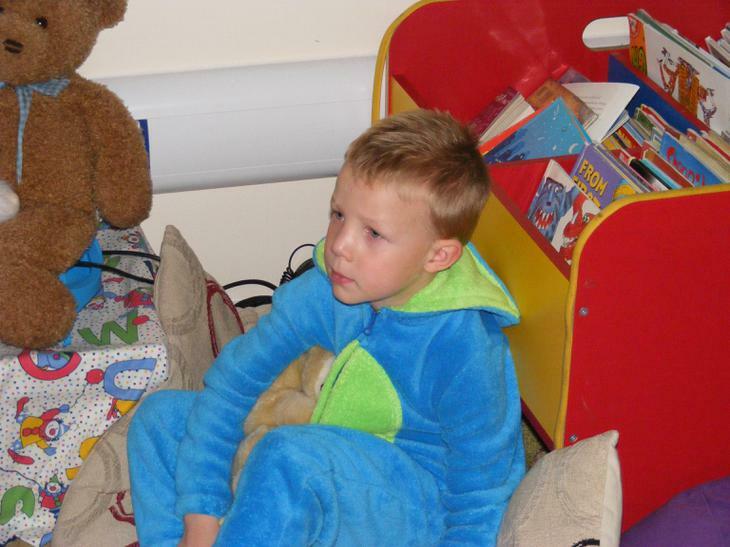 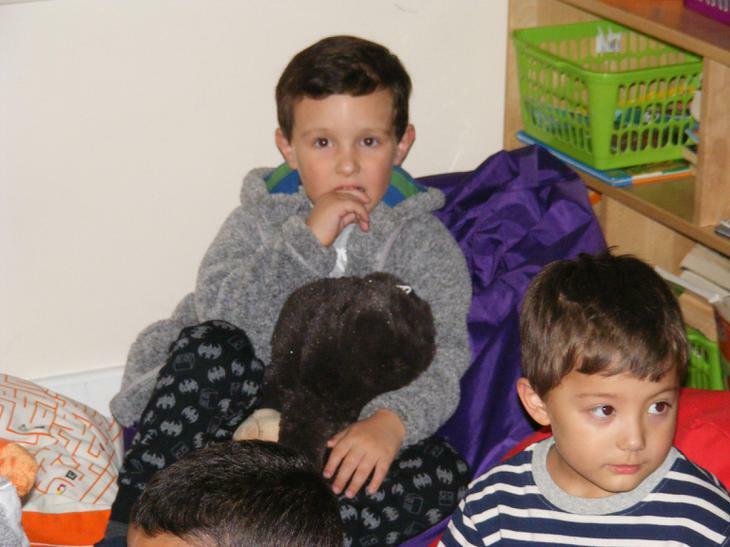 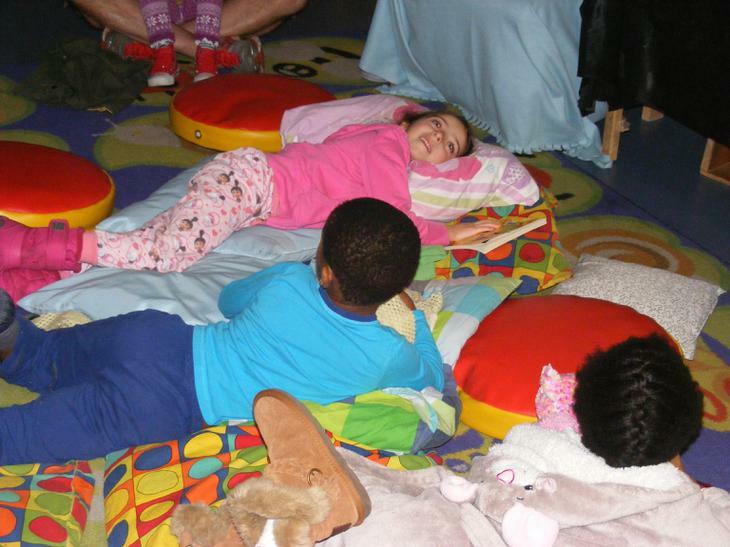 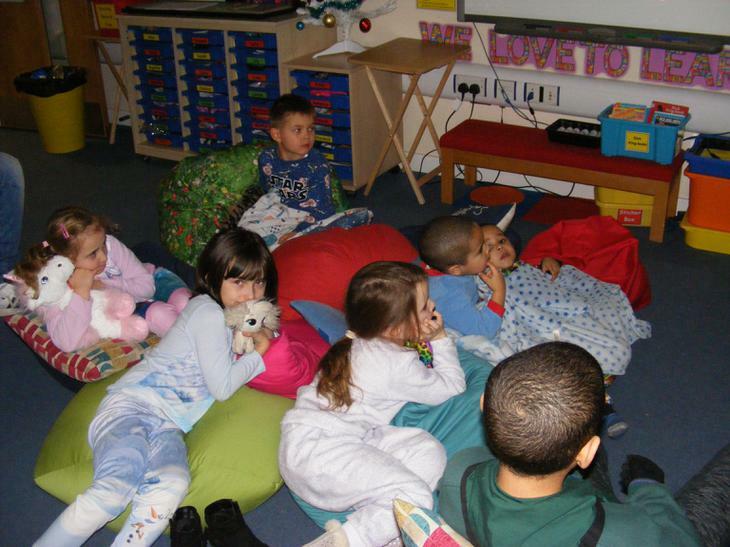 It was that time of year again – a bedtime story at Whitings Hill. 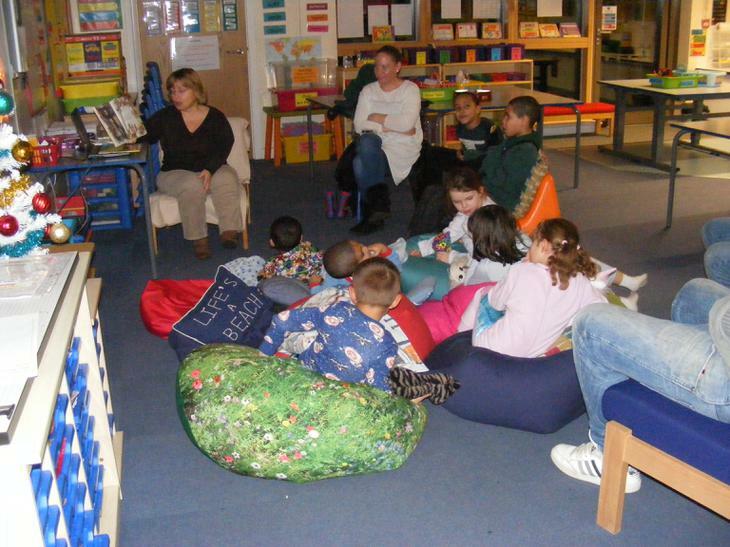 Hot on the heels of the visit of the author Neil Griffiths, our English subject leader, Mrs Ellis, continued on her crusade to instil a love of books among the pupils at Whitings Hill by arranging this, now, annual event whereby the younger children come back to school to listen to a story or two, drink a cup of hot chocolate and hopefully, go straight home to bed with the excitement of the stories still in their head. 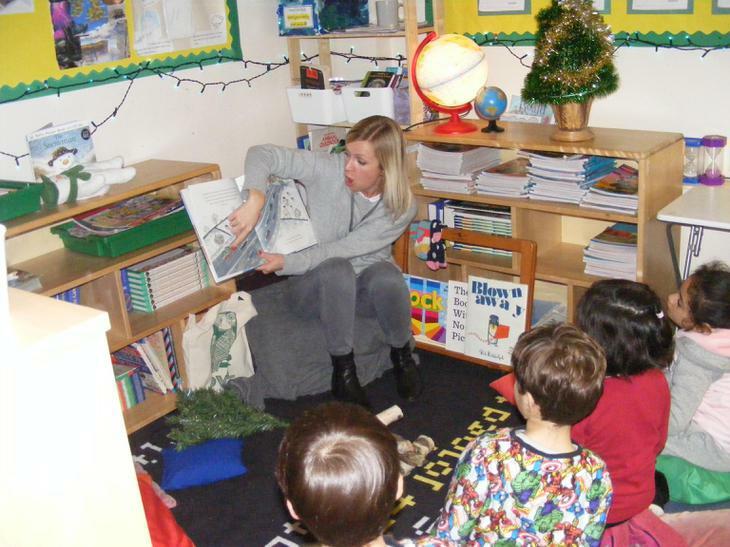 So on Wednesday 7th December, Mrs Ellis and her valiant band of teacher helpers shared their favourite books with the children and judging by the excitement of the audience and their involvement in the stories, the readers did a superb job. 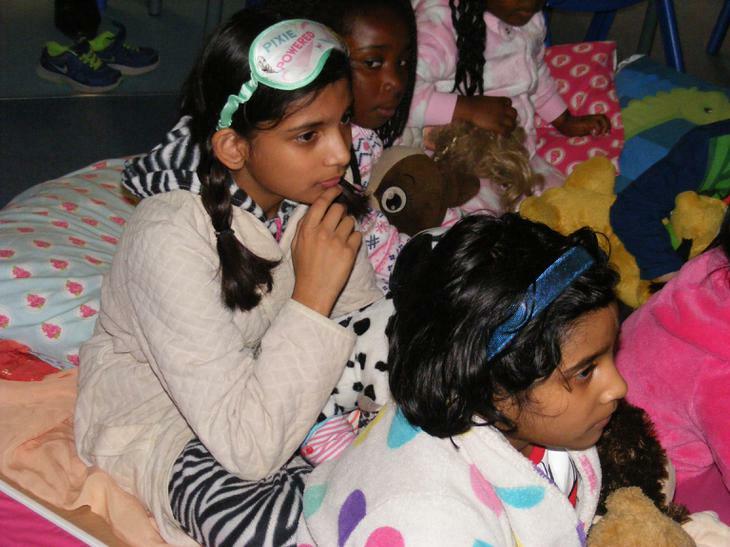 The amazing teachers who gave up their time and put so much energy into the event to make it so popular were: Mrs Barnes, Miss Sultana, Mrs Thompson, Mrs Andreou, Miss Murphy, Mrs Wightman, Mrs Abdel-All and Miss Porteous. 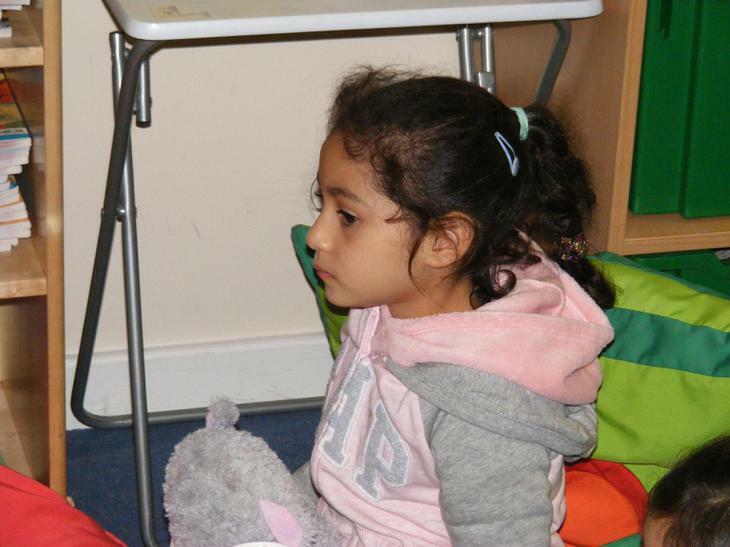 The smiling faces of the children were proof of their story-sharing skills. 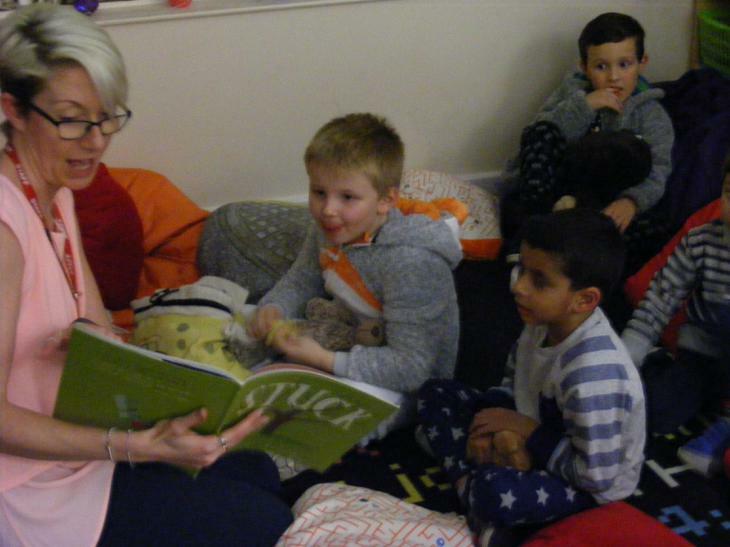 We also have to give a special mention to Mrs Patel who makes a very tasty cup of hot chocolate which the children and adults can all attest to!